Mint Chocolate Icebox Pie - such a refreshing treat! 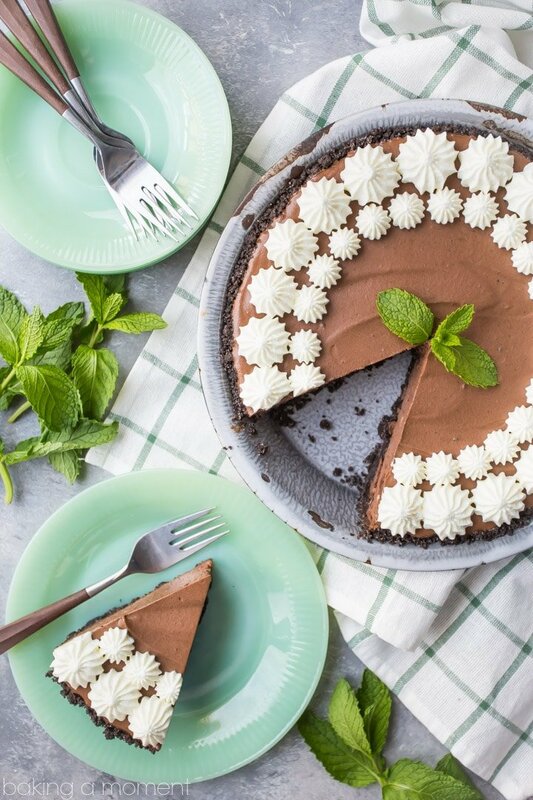 If you like mint and chocolate together, then you’ll love this mint chocolate icebox pie! It’s a perfectly refreshing summertime treat! Omg I have to tell you: this was one of the best desserts I’ve had in a long time. 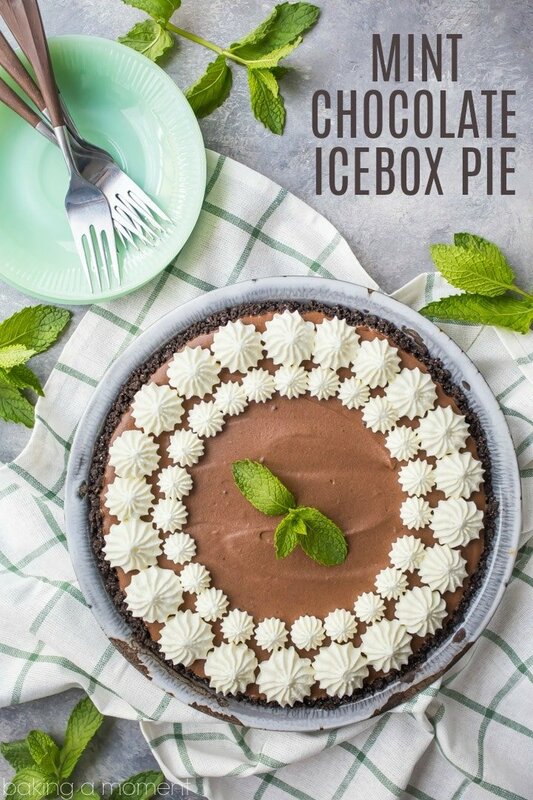 Mint chocolate icebox pie. To die for! 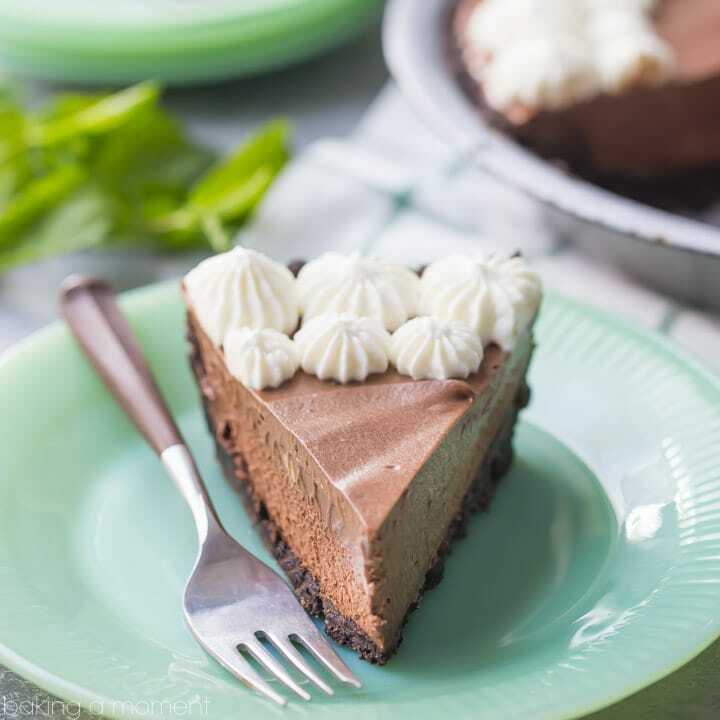 I am a big fan of chocolate and mint together, so I knew I was probably really going to like this pie. But it exceeded my expectations! That filling is so light and fluffy, it just melts on your tongue. And it leaves behind the most incredible rich, dark chocolate flavor, enhanced with a strong hit of cool mint. Like a fresh breeze on a summer day! And the chocolate cookie crust is the perfect crunchy compliment to all that soft goodness. Best of all, it was super simple to make. You barely have to turn the oven on! Just the kind of dessert recipe I love for those hot, lazy summer nights. It’s a perfect treat to cool you off, especially if you’re a chocoholic (like me!). Definitely give it a try for your next get-together. 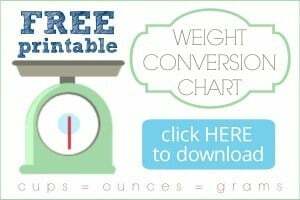 I bet your guests will go nuts for it! More summer recipes on my “Seasonal Recipes: Spring & Summer” Pinterest board! Preheat the oven to 350 degrees F and place the chocolate sandwich cookies and sugar in the bowl of the food processor. Pulse until the cookies are completely crushed to crumbs. Stir in the melted butter, and press the mixture in an even layer over the bottom and up the sides of a 9-inch diameter standard pie dish. Place the chocolate, water, cocoa powders, sugar, and salt in a large bowl and microwave in 30 second increments, stirring, for 1 to 2 minutes, or until melted and smooth. Fold in the whipped cream, vanilla, and peppermint extract until combined. Transfer to the prepared pie dish, and refrigerate for two hours (or preferably, overnight). Fit a piping bag with a jumbo open star (4B) tip, and pipe rosettes around the outside edge of the pie. Great post and video! Looks easy, fabulous and delicious…. Thanks for sharing! My pleasure Kathleen! I’m so happy you like it; thanks for the great feedback! That chocolate filling looks sooo perfectly silky! Gorgeous! Thanks Alex! It definitely was silky and delicious. Glad that came through in the pics and video. Hope you have a great weekend! Oh my goodness thank you so much! I feel a little funny about adding that in and I’ve thought about nixing it, so I’m glad to hear that you like it! I guess I’ll keep doing that in my videos then. Thanks for the great feedback Amanda! I love desserts like this that seem fancy but are so easy! Your pie is beautiful! Aw, thank you so much Melissa! I’m so happy you like this! Thanks Kayle! It was definitely a big hit here, with my whole family! Hey Chris! I just used Oreos lol. Centers & all! Sorry for the confusion there. 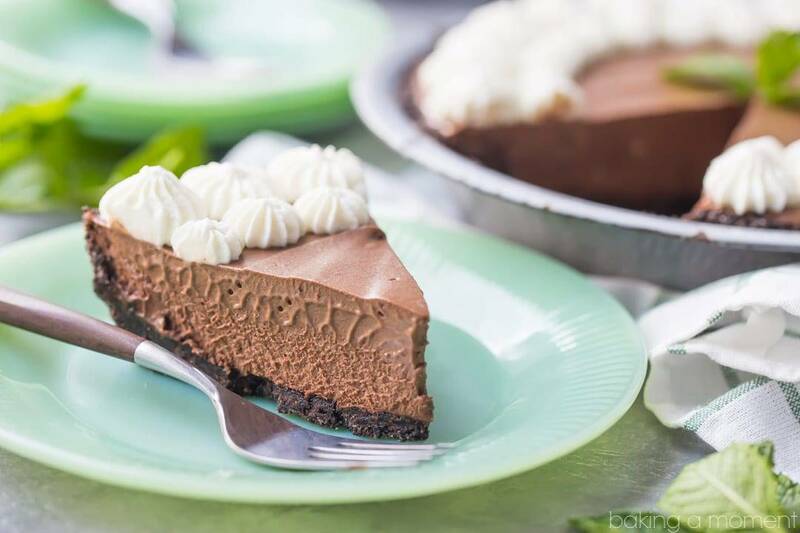 You can FEEL how silky this pie is just by looking at the photos! My kids love the chocolate-mint combo! What a fabulous pie! Mint and chocolate is one of the best flavor combinations! This pie looks gorgeous! Sounds great! I love your decorative topping! Mint and chocolate are so good together! This is creamy and perfect!